Ever since One Piece began being published over twenty years ago the series has been quite popular and throughout the years it has continued to garner attention alongside numerous different video games throughout the years. These titles range from fighting games, brawlers, action adventure games, and a variety of other different genre but like many other anime and manga franchises, the series has barely touched upon an open world style of game. Now with One Piece: World Seeker choosing to tackle that type of game, is it worth picking up? While in the New World the Straw Hat crew hear of a vast amount of treasure being held within a prison facility called Jail Island and in an attempt to obtain these riches, Luffy pretends to be captured while the rest of the crew infiltrate the prison through other means. Unfortunately for the group this treasure turns out to be nothing more than a trick to lure unsuspecting pirates to the waiting hands of the Marines and other captors. With the marines sporting an uncommonly high number of sea-prism stone weapons Luffy barely escapes from their trap only to find himself plummeting into the ocean. Saved by a woman named Jeanne Luffy finds himself initially separated from the rest of the Straw Hat crew only to eventually locate them with the help of Jeanne and the rest of the Anti-Marines faction. Due to a previous war, the island that was previously named Jewel Island due to its precious resources, ended up falling under Marine control and was transformed into its current state, with the Straw Hats now caught between the Pro-Marine and Anti-Marine factions it will be up to Luffy to help those in need. While playing through the story players will feel like it fits right at home with the general theme of the series’ mini-arcs as the crew is separated as usual and slowly gathers together while meeting with those in need and fighting against various enemies along the way. This is partially due to the fact that the series’ author Oda has helped supervise the game’s story and had a hand in creating the new characters for the game so it all blends together incredibly well even if the story itself is a bit on the short side on its own. Along those lines players shouldn’t expect a really advanced storyline to be told here, though fans should find it decent enough, and even side-stories that can be viewed through increasing your bond level with various characters tend to feel a bit flat overall. This is primarily due to the fact that although all of the other Straw Hats and a number of other familiar faces make appearances in the game, they are not playable in any form and are instead relegated to being quest givers, opponents, or simply services for small side-features in the game. 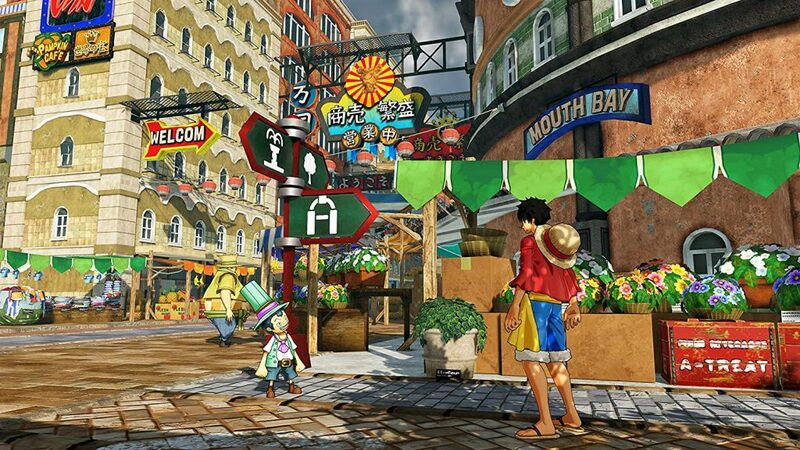 As mentioned before One Piece: World Seeker is an open world style game and with it come a variety of little features. Players will be able to explore a fairly sizable world where various hidden treasures can be located and opened, resources gathered from various points, and of course a number of side-quests to undertake if you so choose. Generally these side-quests fall into either gathering a certain amount of items from around the world or taking down enemies in a specific area so don’t expect anything too revolutionary here. 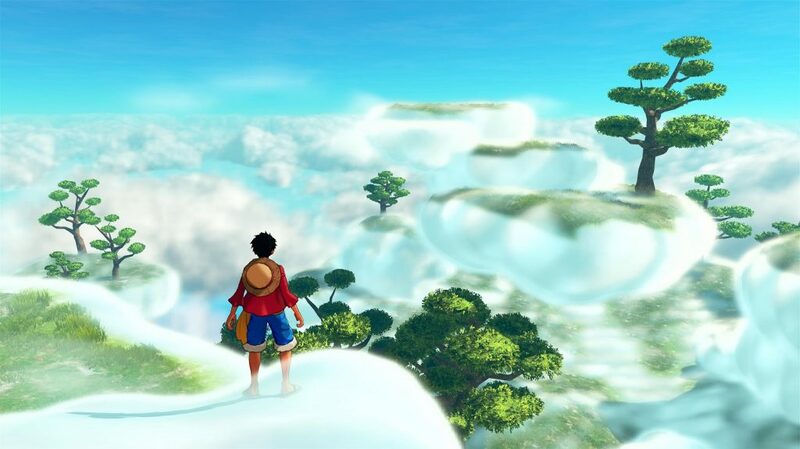 Navigating through this world as Monkey D. Luffy is an enjoyable task as his rubber abilities allow him to initially launch up the side of buildings and other tall objects by stretching his arm and once the player continues to upgrade Luffy’s abilities he can even begin to hover using his legs as well as extend his stretching powers. It is worth noting that the movement may feel a bit slow at first but once the first few upgrades are purchased navigating throughout the world can often be a far more enjoyable experience than simply using the fast travel system most of the time. 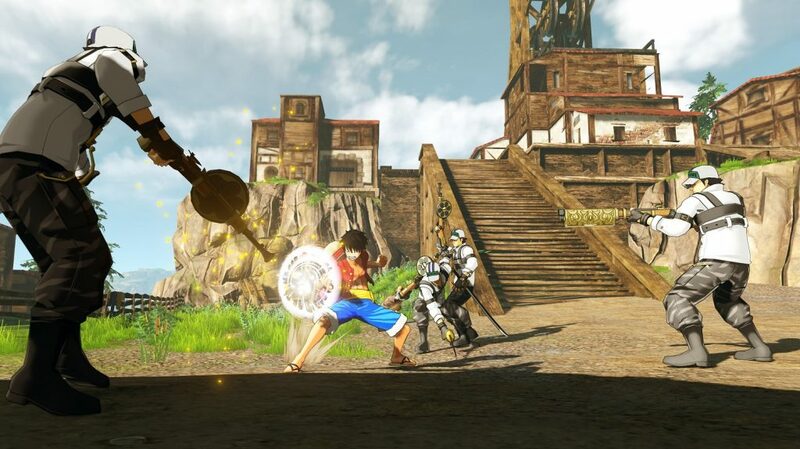 The combat system of One Piece: World Seeker is a bit of a mixed bag primarily due to the fact that the game features an upgrade system with various abilities locked away until they are purchased. This means that until players progress, Luffy is left with a droll move set that quickly grows tiresome even when swapping between his standard fighting form as well as the Haki based fighting styles. In fact even once the player has managed to upgrade Luffy’s combat style the game still feels a bit lackluster in this regard with most fights simply boiling down to a few simple moves even on harder difficulties though in harder fights players will need to play more defensively primarily due to how awful the game’s dodge system works. It is interesting to note that there are stealth takedowns available in the game to take down unaware enemies and it is possible to string these takedowns together if enemies are grouped up. Completing tasks, defeating enemies, and advancing the story provide the player with various skill points that, as mentioned before, can be applied to a number of different categories to allow players to advance Luffy’s skills in a way they see fit though be careful with some abilities as some skills are completely useless in practice. Along those same lines players will find that the various items and relationships they can build up tend to mostly unlock costumes and various other items that tend to play a minimal role in the game, leaving players with an open world game that simply feels empty at times, especially since the various locations tend to be sparsely populated. 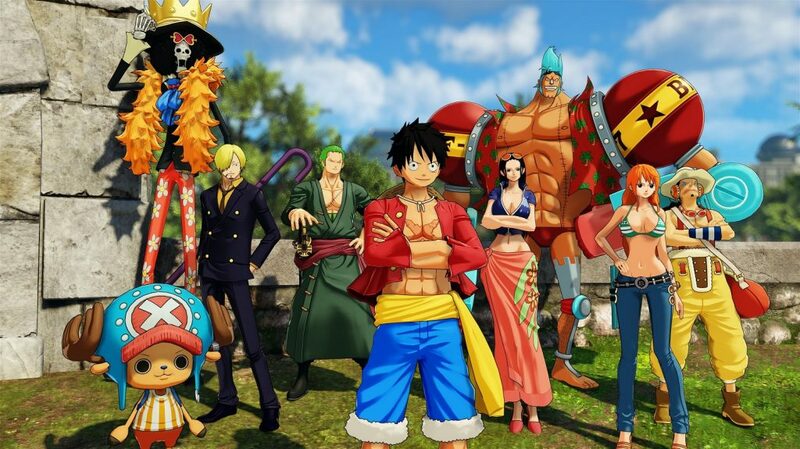 It is clear that the development team for One Piece: World Seeker had some oversight when it came to bringing the character’s of One Piece to life within this game. The character designs perfectly match with their original counterparts and even the new original characters fit in quite well. Although empty the actual designs of the world and the various locations players visit on Prison Island are nicely detailed with a great amount of variety to be seen. It is interesting to note that the game does not really feature any of the signature music of the original series but does sport a fairly satisfying mix of background music throughout the various areas in the world. In fact there is even an option to listen to various tracks in the menu system if you happen to have a favorite. As for the voice work players will find that this game only features the Japanese voice track but unlike many anime games, it features a disappointingly limited amount of voice work outside of main dialogue events and cutscenes. 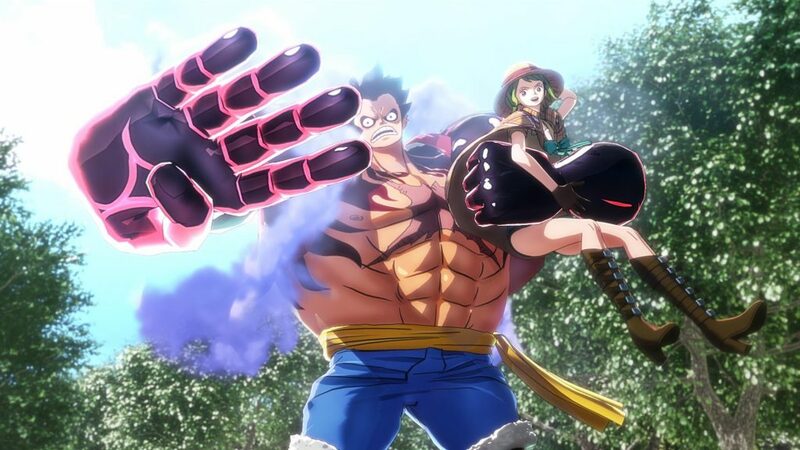 Although anime games don’t tend to try the open world formula often, One Piece: World Seeker does deserve a bit of praise for trying it out even if it doesn’t end up feeling like anything special because of this. The game’s combat system eventually does work rather well after advancing past the bland beginnings and thankfully the same character design aesthetic from the original series carries over well into the game. Those looking for a nice new story in the One Piece world will find that with the help of Oda this game feels like it fits right in with the original work like a side-story though be prepared for most of the crew to sit around while Luffy does all the work. 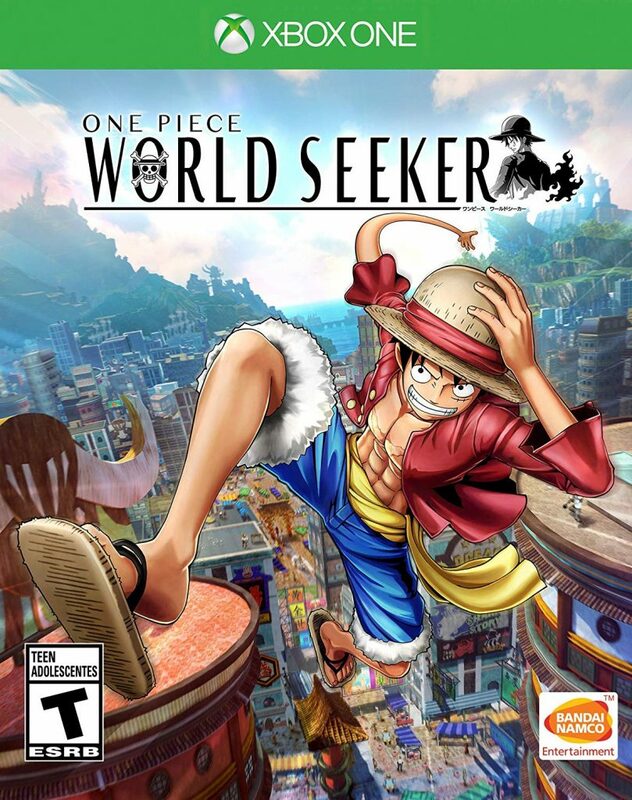 One Piece: World Seeker features both the looks and a story worthy of fitting in with the original story but be prepared for a simplistic fighting style and an open world with little to do.